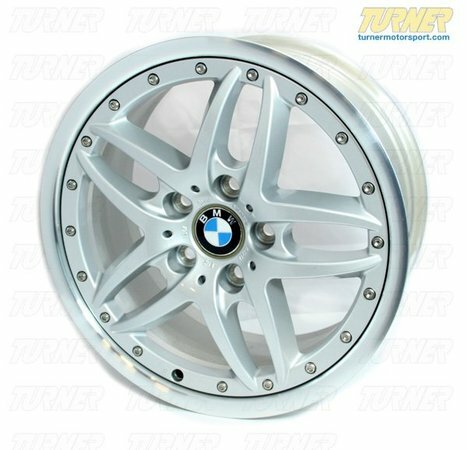 This genuine BMW double spoke style 71 wheel - 17" x 8" fits BMW E46 (except M3) and Z4 (except MZ4). This wheel weighs 23 lbs. For more information on BMW wheels and wheel info in general, check out our Wheel Fitment Guide by clicking here.